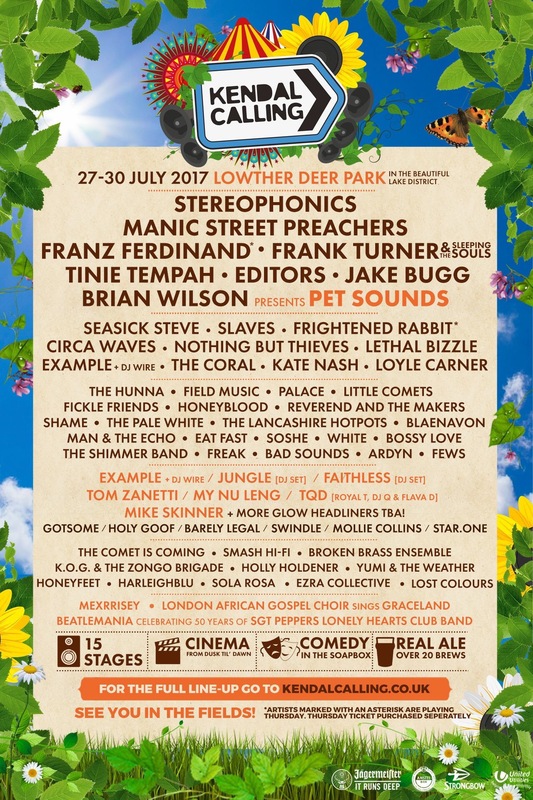 The first set of acts for Kendal Calling 2017 have been announced with Stereophonics, Manic Street Preachers and Franz Ferdinand revealed to be performing on the last weekend of July. Also playing at Kendal Calling are Frank Turner, Tinie Tempah, Editors, Jake Bugg and The Beach Boys’ Brian Wilson. After a sell out last year they will be expecting a huge influx of ticket sales. As always there is strength in depth away from the main stage with Seasick Steve, Circa Waves, The Coral, Reverend and The Makers, Mike Skinner and Example on the Calling Out Stage and Dance Tent.